YOU WILL LEARN: How to perform a variety of looks from different time periods; 1920’S, 1930’S, 1940’ AND THE 1950’S and more. 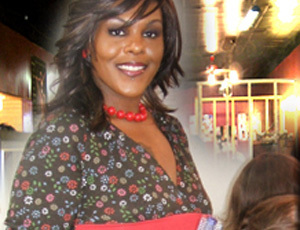 Looks worn in many feature films: DREAM GIRLS, CASABLANCA, and may retro artists today!! EXPERIENCE THE VIBE!! YOU WILL LEARN: The art of Airbrush Makeup. You will learn how to apply flawless foundation much faster than the basic method; allowing maximum coverage. You will be able to cover larger areas quicker and more efficiently. You will be able to creat and cover tattoos, scars and stretch marks created additional revenue. ALSO: You will be able to offer a service of makeuo that lasts longer than everyday wear!!!! YOU WILL LEARN: Tyzillions, Dread Locks, Lock Extentions, Two Strand Twist, Twist Extentions, Comb Twist, Straw Sets, Latch Locks, Pixie Briads, Senegelese Twist, Undetectable Twist, Designer Braid Twist. ALSO: How to Weave, How to Interlock, Basic Braiding, Cornrows, Net Weaving for Bald Spots, Silky Dreads, Tree Braids, Herbology, Caucasian Locking and Under Braiding ... AND MUCH MUCH MORE AS A MASTER NATURAL STYLIST!!! YOU WILL BE TRAINED: In a vast selection of realistic Synthetic, Human as well as European Human Hair Wigs. Learn the different types of Lace Front, Mono0tops and Ful Ventilation wigs. You will learn how to properly apply, remove, restore and ventilate various types of wigs that are worn and are in demand by both everyday clients and celebrities today! COME LEARN THE SECRETS OF THE STARS!!! YOU WILL BE SOUGHT AFTER WHEN YOU FINISH THIS TRAINING. You will learn how to perform WEAVING, NET WEAVING, FUSIONS, MICRO-LINKING (STRAND BY STRAND WEAVING), ADDING BRAID EXTENTIONS, WIG WORKING, LACING AND INTER LOCKING!!!! All phases of extended and enhancing hair covered.